These new die-cut cards are all the rage and so different. They are printed on premium paper and come in 5 stylish shapes. I can order them with a pre-punched hole and they can be used as ornaments on the trees of your friends and family. Below are a few samples. 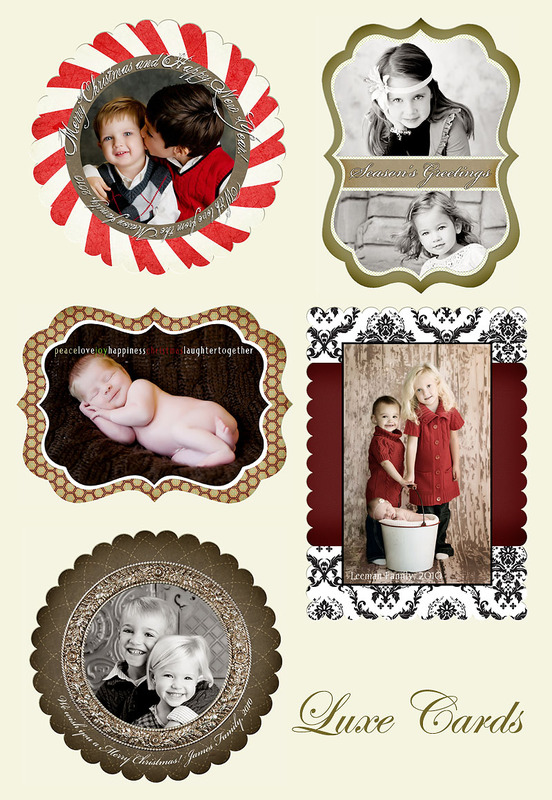 They aren’t the only designs available and you can also get the regular style holiday cards. The holiday’s are fast approaching so call to schedule your holiday session soon.